Yep. That Yo. The app that you could install and send a “Yo” to friends with. The app/company that received a $1.5 million investment last July. It turns out that this little joke of an app is actually creating a wafer thin platform for smartwatches with which you can plug your services into. @orarbel the CEO of Yo announced this in a session I was sitting in at SXSW. Turns out this little company is riding a wave of increased simplicity among apps. (Meerkat, Fring, Yo, etc) They do one thing very well and a smartwatch is a no-brainer for this type of simplicity. I’ve always argued that apps are tools for your brand. They should provide utility for your customers and it turns out a hammer is pretty useful thing. A hammer with 34 settings/options just isn’t that useful. To be clear, this isn’t an extension of responsive design and in fact, most responsive design isn’t done very well focusing primarily on scale. Behaviors across devices are very different and the smartwatch is surely no different. Smartwatches are for a quick hit of information. Smartphones are for helping you find things. Tablets are for personal browsing and laptops are for information. If you have a desktop; I can’t help you. 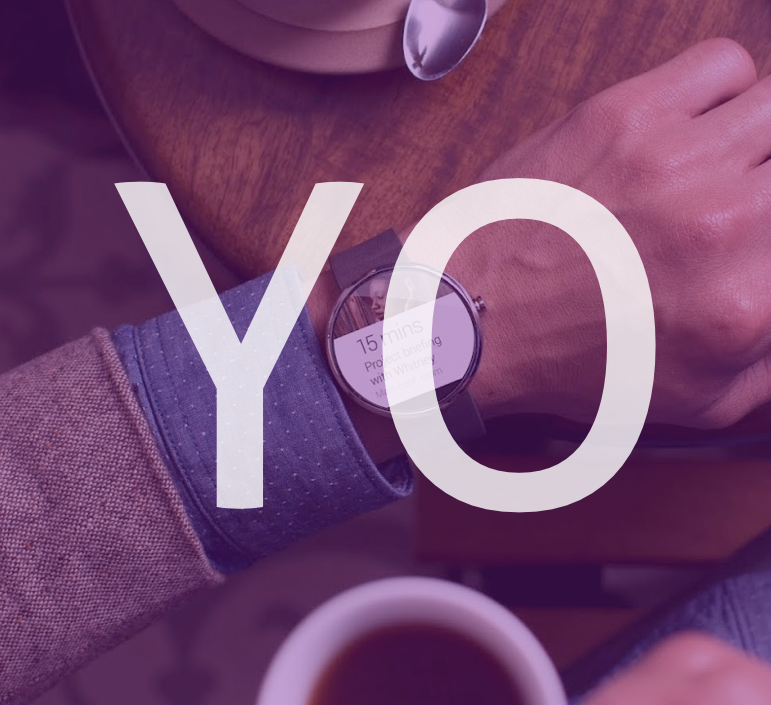 So if Yo has created the platform for you, what might your business look like on a smartwatch? Lets do a quick use case for Fandango by device. Laptop – Customer is home and opens up Fandango, searches for the movie they’re interested in and checks the times. Smartphone – Customer is out with friends and they decide to see a movie. She opens the Fandango app and the it pulls up movies around them. They find one they all agree on and she buys a ticket. Smartwatch – Customer is at work and her smartwatch alerts her that the new movie that she may want to see is starting this Friday. Fandango uses her data from past movie searches, ticket purchases and social media content to determine her likes and then recommends a movie.